SAML Security: What is a SAML Assertion? What is a SAML Assertion? 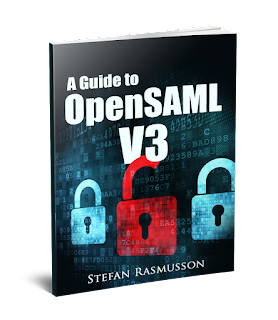 The SAML Assertion is the main piece in the SAML puzzle. This is the object that the rest of SAML is build to safely build, transport and use. A SAML Assertion is basically a package with security information about a entity.(e.g. A user) issued from the Identity Provider(IdP) to the Service Provider(SP). When the user has authenticated with the IdP a SAML Assertion is sent to the SP with the IdPs information about that user. What does a SAML Assertion contain? The SAML Assertion contains some general information like, who sent it, what time it was sent and validity period of the assertion. The assertion also contains statements about a user. These come in three different types. The authentication statement contains, not surprisingly, information about the authentication of the user. Mainly when and by what means the user was authenticated. The attribute statement can contain application specific attributes connected to the user, for example. Address, telephone number social security number. What does a SAML Assertion look like? Here is an example on what a whole can look like. If you have any questions please drop a comment in on this post and I will answer it as soon as possible. 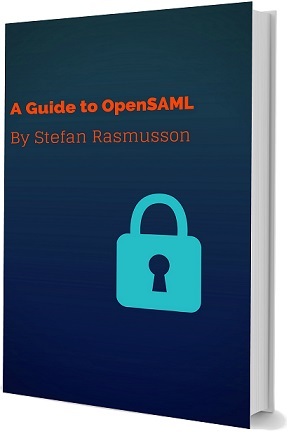 In my book, A Guide to OpenSAML, I describe the SAML Assertion and the rest of SAML in detail. We are trying to generate an assertion with OpenSaml and we have some doubts. Is your help possible? I've read parts of your book. Thank you for it, it has helped me a lot!! As your project as a base, I'm setting up a small POC connecting to Google as the SAML IdP (I created a SAML app on google using Admin Console). I've packaged the SAMLResponse as the Artifact inside the ArtifactResolve. Now I get this error "No KeyInfoGenerator was supplied in parameters or resolvable for credential type org.opensaml.security.X509.X509Credential, No KeyInfo will be generated for signature .... "
I cannot seem to get past it. Am I responding to the wrong binding? Is it possible that Google isn't able to use my AuthnRequest properly i.e. recognize it as an HTTP-Artifact binding? Right! I realized that, and now I'm doing response.getSignature after giving it the element, but I can't find a way to validate it. I've tried to use the ProfileValidator, but I think I'm missing pieces. Do you know a good resource for it? Or should I dig into the book again?